Psychopaths are defined as ruthless people who suffer from a chronic mental disorder that can manifest in abnormal or violent social behaviour. But one diagnosed psychopath says they’re not all violent murderers – they could even be your boss. She believes people who have the condition like she does are more likely to get ahead in life. Thanks to her manipulative streak, combined with a lack of empathy for others and excessive self-esteem, she’s become a high-flying attorney earning £150,000 a year. The woman, who is in her thirties, has written a book about herself, called Confessions of a Sociopath: A Life Spent Hiding In Plain Sight, under the pen name M.E Thomas. She will also appear, without being identified, on a Channel 4 show this Saturday – Psychopath Night – that will try to unravel the mystery of this minority, with the help of leading experts. The programme reveals some familiar faces who are high on the psychopathic scale, including a star of the England football team. Doctors on the show found Miss Thomas displays many psychopathic traits such as egocentrism, interpersonal dominace, verbal aggression and excessive self-esteem. Miss Thomas admits she has an ‘obsession with power and willing to do anything to get ahead’ but unlike some psychopaths (many are responsible for about half of serious crimes committed), she’s not a murderer or a criminal. She said she prefers to call herself a ‘sociopath’ because of the negative connotations of psycho in the popular culture (fuelled by fictional characters like Hannibal Lecter and real life psychopaths such as Ted Bundy). 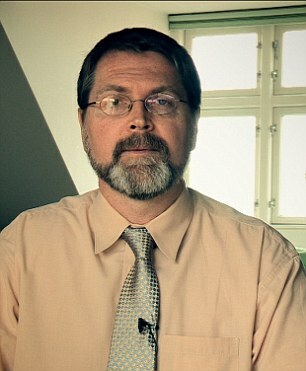 Dr John F Eden, a psychology professor from Texas A&M University diagnosed Miss Thomas can be described as a ‘socialised’ or ‘successful’ psychopath because of her academic and profession achievements. He said: ‘Her presentation in many regards could be considered that of a prototypical psychopathic personality… such as a pronounced lack of empathy, a ruthless and calculating attitude towards social and interpersonal relationships, and a relative immunity to experiencing negative emotions. He added: ‘Although cognizant that she is “different” from most people she knows in terms of her personality structure, Ms. Thomas does not view herself as “disordered” in the sense of suffering from a form of mental illness per se. Quite the contrary, she seems content with her lifestyle and its current trajectory and rather blasé about many issues and concerns that might cause others some degree of uncertainty or distress. Of course, such attitudes are emblematic of individuals who are highly psychopathic. Miss Thomas believes there are many other secret psychopaths like her and that they are ‘the grease making the world go round’.